Partners | 802 Secure, Inc. The AT&T Enterprise Business serves medium to large businesses with a suite of information technology and communications services including network security services and cybersecurity solutions. AT&T Enterprise Business solutions help clients prevent, detect, and respond to threats. Ask AT&T about solutions that help deliver visibility and responsive analytics using 802 Secure AirShield, or reliable communications using P25CleanRF technologies, services, and solutions. Visit AT&T at www.att.com. Optiv Security serves businesses, governments, and educational markets with its focused expertise and extensive portfolio of information security services and solutions from initial strategy development to managed security services. Ask Optiv about solutions using 802 Secure AirShield technologies, services, and solutions. Visit Optiv at www.optiv.com. Along with its extensive ecosystem of technology suppliers and delivery partners, Carahsoft specializes in providing specifically tailored solutions to the government sector. Its customer-centric approach and deep experience in navigating the government procurement process makes Carahsoft well-suited for delivery to government customer. Ask Carahsoft about solutions using 802 Secure AirShield or P25CleanRF technologies, services, and solutions. Visit Carahsoft at www.carahsoft.com. 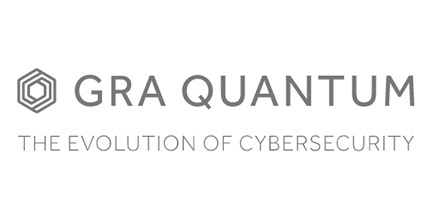 GRA Quantum resells 802 Secure solutions along with their range of comprehensive information security services, including vulnerability management, secure communications, cyber risk advisory and incident response. With an approach to security that combines both technical and human elements, GRA Quantum evolves its security tactics to adapt to rapidly evolving technologies. Ask GRA Quantum about their offerings built around 802 Secure solutions to serve the needs of forward-looking leaders and their organizations. Visit GRA Quantum at www.graquantum.com. Deloitte’s Federal Government Services practice—our people, ideas, technology, and outcomes—are all designed for impact. We bring fresh perspective—from inside and outside government—to help solve our nation’s biggest challenges. From cyber and IT modernization to big data and analytics, cloud, anti-fraud, and leadership services, we bring insights from our client experience and research to our consulting and advisory services—to drive bold and lasting results. Visit www.deloitte.com.